The lady seated on a tree stump with a lamb on her lap, the man seated at her feet, decorated in washes of colour and flower sprays. Charles Gouyn, a Huguenot jeweller with premises in Bennet Street, St James’s established his small factory after an acrimonious split with Nicholas Sprimont of the Chelsea porcelain factory in around 1748. The porcelain is unlikely to have been actually fired in this most fashionable of London quarters, and John Mallet has suggested that they might have been made at a property owned by Gouyn near what was then a relatively rural Park Lane. In an advertisement of 1750/51 for his own independent productions, he described himself as the ‘late proprietor and chief manager of the Chelsea-house’. Arthur Lane says of the anonymous modeller ‘he lacked the sculptor’s gift of communicating articulate movement to his figures… and his knowledge of anatomy was rudimentary. 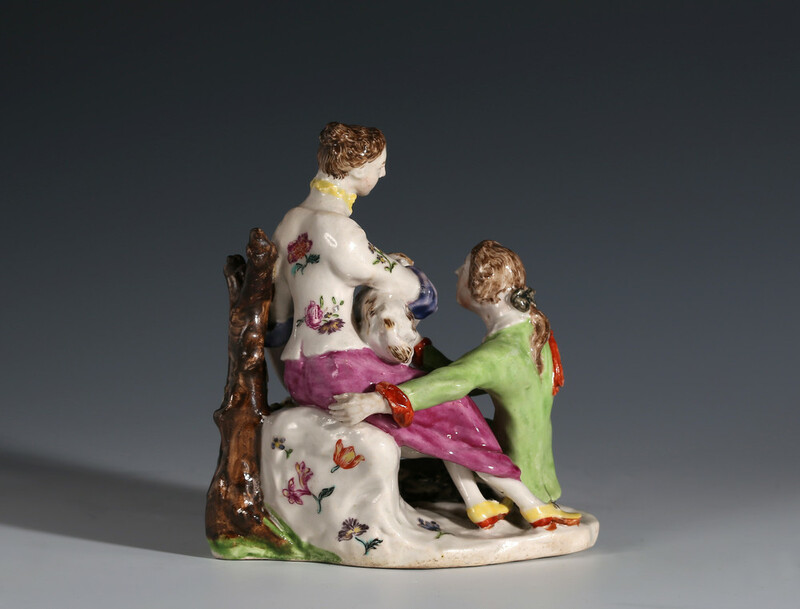 But in ‘porcelain-sense’, in instinctive understanding of the material he surpassed all his English contemporaries.’ This group is probably adapted from one of François Boucher’s engravings such as Pastorale à la Guirlande. Girl-in-a-Swing groups are rare and coloured ones are particularly so, constituting about a third of the known production. The distinctive flower painting is also found on the earliest and finest of the scent bottles. This is probably the only Girl-in-a-Swing group to have a provenance taking it back to the 18th century. A white example in the Victoria and Albert Museum. A white example in a private collection. 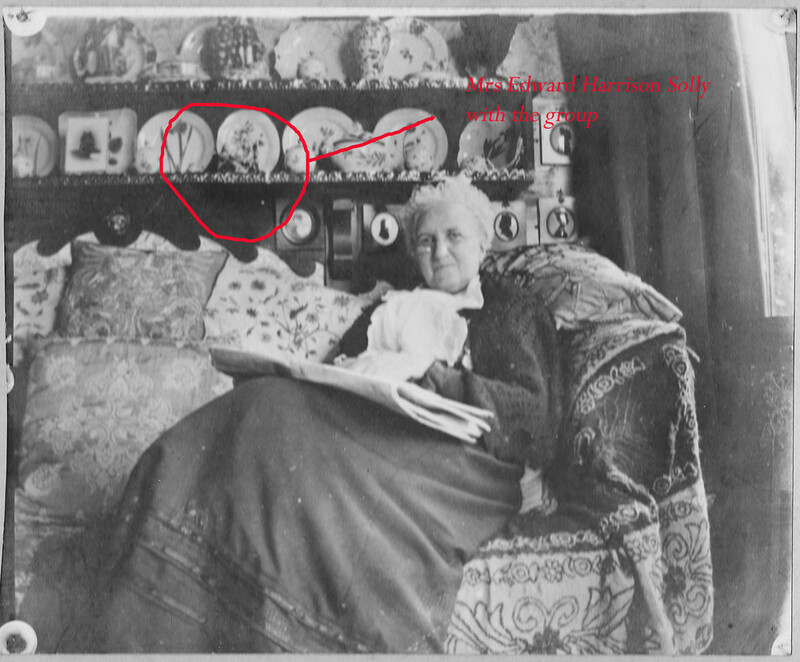 An example with later decoration in the Tullie House Museum, Carlisle, illustrated Elizabeth Adams, Chelsea Porcelain, p. 54, Fig. 5.13. 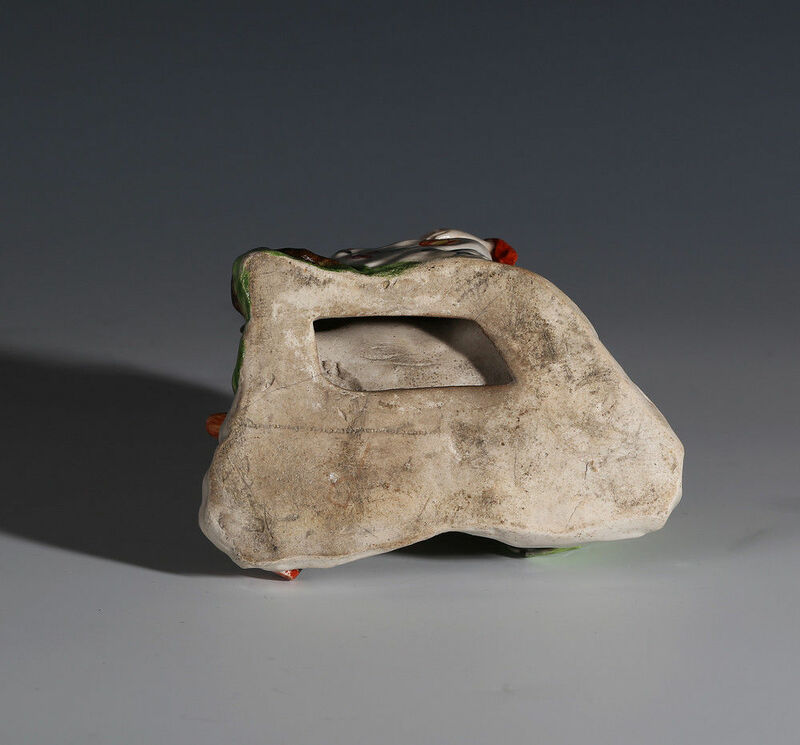 Condition – End of his left shoe restored. Tip of the tree trunk at the back restuck. Provenance – Isaac Solly (1724-1820), a London merchant in the Baltic trade. His son Samuel (1774-1847) married Dorothea Rackett, the daughter of Thomas Rackett. Thomas Rackett was executor to Eva Marie Garrick (the widow of the great actor David Garrick). Their only surviving daughter, Thomasine, married Chevalier Enrico Cripseri St. Clair, but they had no children, so when Thomasine dies in 1881 all their possessions went to the head of the family Edward Harrison Solly. This figure (along with another badly damaged) remained in the Solly family until their sale at H. Y. Duke and Son, Dorchester on 23 February 2013, lot 211. The figure could possibly have come from the estate of David Garrick as many items that still remain in the Solly family do have that provenace or through Thomas Rackett’s father who was a successful Huguenot tailor in London who would probably have known Charles Gouyn.